I can’t seem to be able to stay away from this place. It’s that good! This time, I went with three great girls and the night was nothing less than magical. As soon as we walked in, the scent of sizzling veggies emanated from the kitchen. It’s a good thing we had a reservation because the place gets crowded in a heartbeat. We take our seats and inspect the menu, four pages of what seemed succulent entrees. The decision would have been impossible to make, but our waiter’s unit of measure helped out, immensely: As soon as we picked something, he would rate it by an enthusiastic raise-the-roof gesture. If the entree´ was slightly less than exceptional, he would raise his hand only half way. 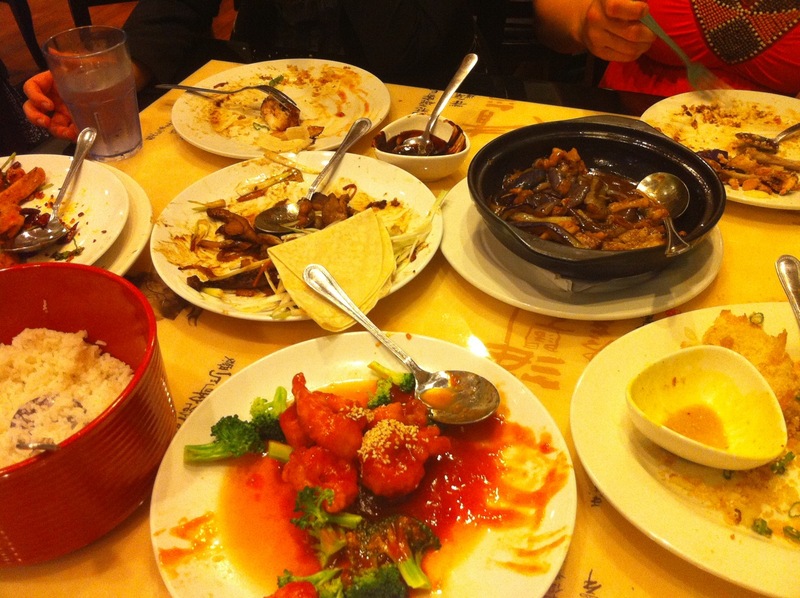 To start, we picked the famous bubble pancakes and fried eggplant. 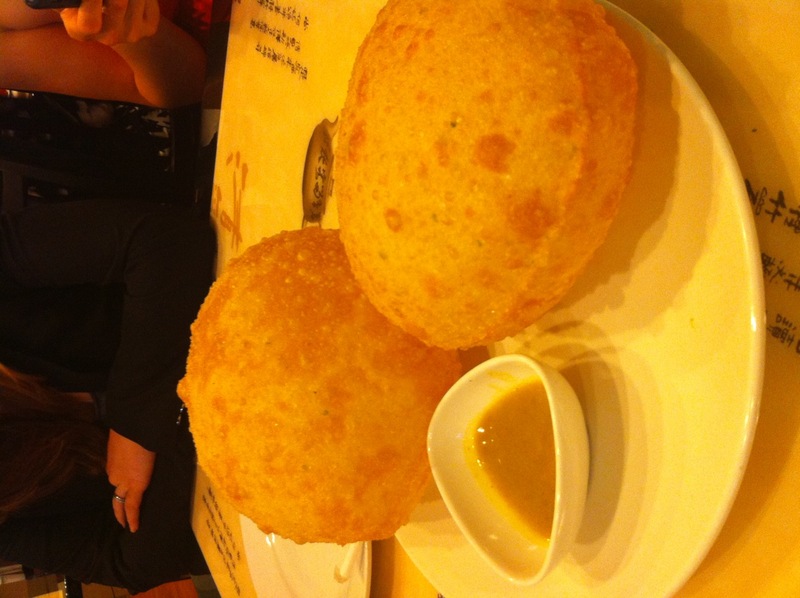 These bubble pancakes were fluffy and crispy at the same time. Their companion sauce, we speculated, had a hint curry in it. Although they look so perfect when untouched, it didn’t take much to pop them. This appetizer lasted about 4 minutes. My problem with this next appetizer was the spice level. Since I am a wimp and can’t handle spice very much (at all actually), the fried eggplants were a bit too much for me, but by the speed with which my Emily, Bradley and Wesley ate them, I’d say they were worthy of a fully extended raise-the-roof rating. Next, we went with the highlight of the night (in my humble opinion): braised short ribs! 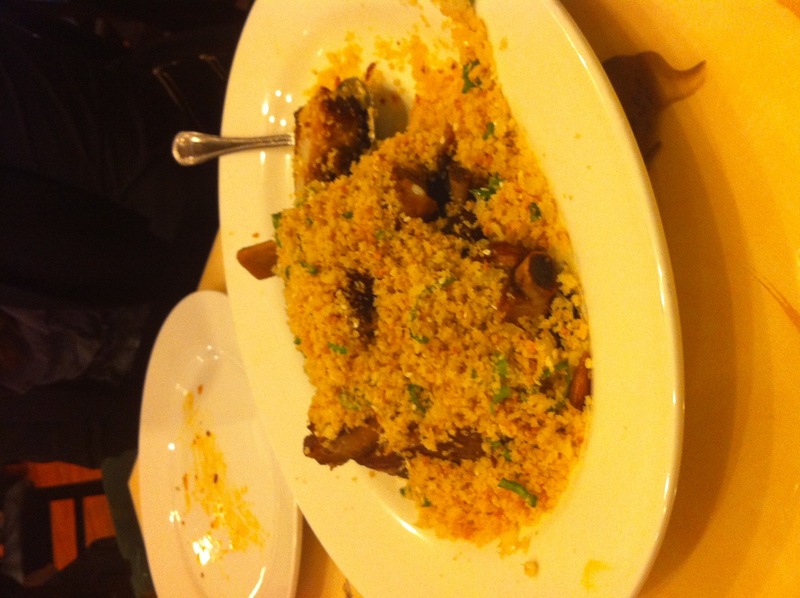 The ribs were so tender and juicy (here you see them covered in Panko and decorated with minced green onion). Interesting story, this was the dish our waiter rated the highest. He was absolutely right. Amazing. 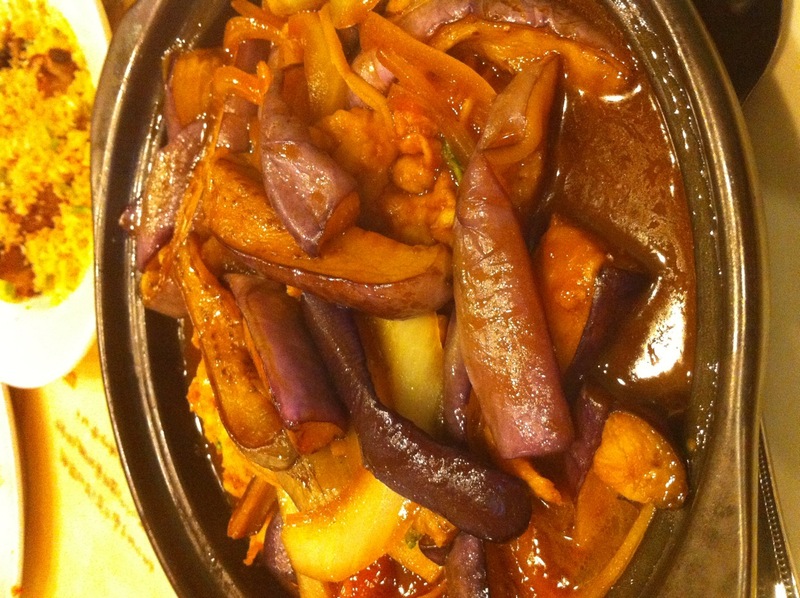 I picked an amazing chicken dish: Chicken with eggplant in a hot pot. The eggplants, thinly sliced, melted in my mouth. The chicken was perfectly cooked, and the sweet onions completed the dish. 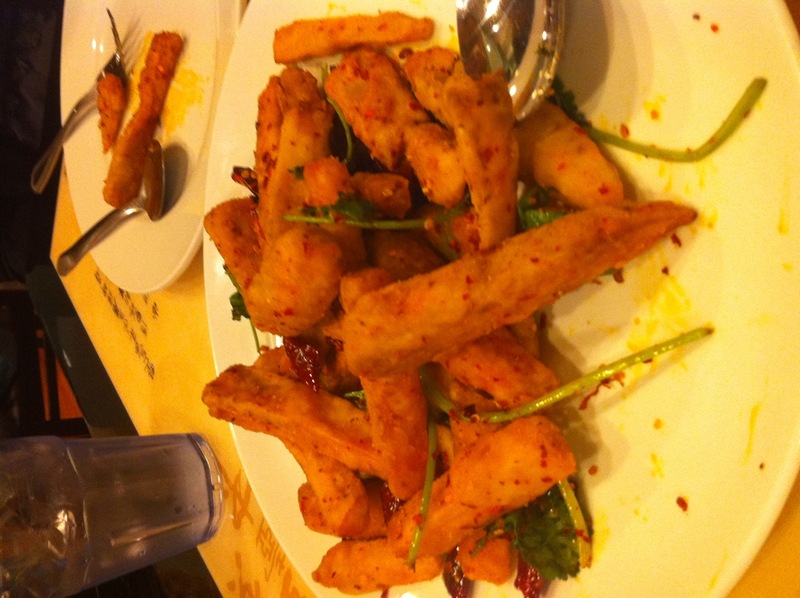 As if these delicacies weren’t enough, we ordered sesame shrimps (a bit too sweet) and duck (excellent). Here is our glorious feast. 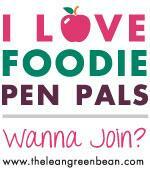 I knew I loved this restaurant before, but this visit cemented my appreciation for good food. Thank you Emily, Bradley and Wesley for making that night a perfect dinner.